A starship captain's most solemn oath is that he will give his life, even his entire crew, rather than violate the Prime Directive. The prejudices people feel about each other disappear when they get to know each other. There's another way to survive. Mutual trust...and help. If it happens to me, it happens to you. We have found all life forms in the galaxy are capable of superior development. New Updates! (4/26/2019) We've been working really hard on completing our membership system so you can submit quotes and keep track of them. Once this is complete in the coming weeks there will be a lot more quotes by James T Kirk and other authors. We've also changed the sorting on the site so you now see the latest James T Kirk quotes first. 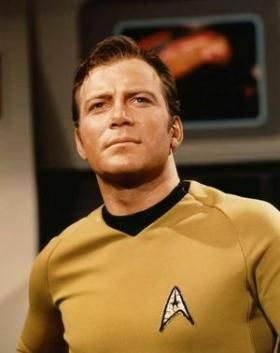 Our goal is to have the best James T Kirk quotes on the web!